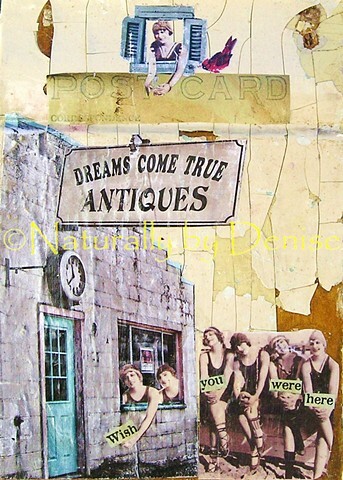 A fun and whimsical Postcard " Dreams come true" A print of one of my Altered art mixed media pieces. Printed on Glossy card stock ( 11 cm X 14 cm) and has a postcard back to send a sweet message to your Loved ones. You could also put it in a cute little frame and hang it on a wall to add some fun to your vintage decor.